The Proxes T1 Sport is a premium UHP summer tire that delivers increased control and precision for true balance in both wet and dry handling. 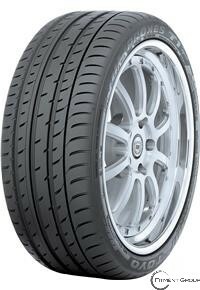 State-of-the-art construction and design make this tire a perfect fit for sports sedans and coupes. Improvements over the Toyo Proxes T1R include better high speed stability, precise steering response, improved braking performance and high cornering power at high speed.